Lush, analog chorus designed to recreate our legendary Small Clone in a pedal-board friendly package. Using a high quality bucket brigade chip and the same classic Small Clone circuit, this true analog design has been massaged and tweaked for accuracy and superior sonic qualities. 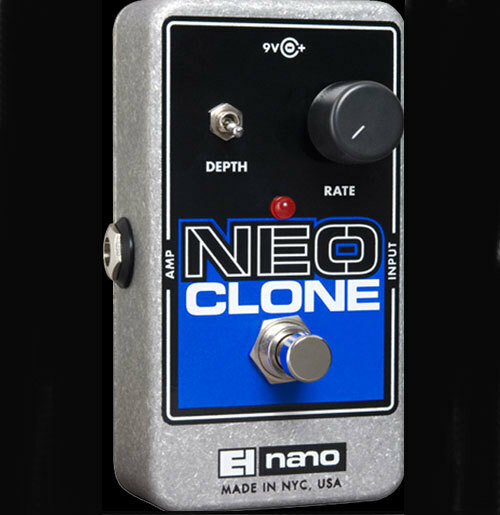 The Neo Clone delivers the Classic Small Clone sound at a price that sweeps the competition away.